This is third part of a weekly series on learning Indian astrology by famous astrologer Punit Pandey. To read this article in Hindi, please click here. 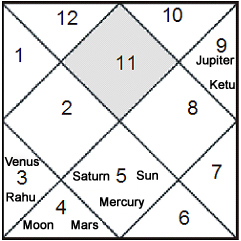 This week we will learn how to interpret diagram of a birth chart. We will also get to know concepts like ascendant and house etc. That's it for now. Logging off – Sayonara.